Q. What impact did attending a dinner with Edee have on your life? Edee makes event planning and dinner parties look effortless. She doesn’t get flustered over every detail, yet every detail is perfected. When you attend one of Edee’s dinners, you feel comfortable and empowered because of her innate ability to welcome you with hospitality and edify you with remarkable culinary insights. Everything that is done really well looks easy. And that’s what Edee does with cooking. She makes you believe you can do it too. The presentation was beautiful. There was a special pig that she roasted that was absolutely incredible. I loved the unique foods and creative display. Q. Do you feel more education and prepared to cook your own gourmet meal? If yes, how so? Edee is so open about sharing her wisdom with everybody. She eagerly shared her homemade pasta recipe with me. This may not sound like a big deal but this pasta dish is not something you can just find anywhere. If it were socially acceptable to lick my plate, I would have done it! She shares her knowledge in a way that even the most elementary cook could apply to make an exquisite dinner. Q. Why would you recommend Viva Gourmet (or Edee) to others? Because of the classy, effortless way she hosts parties and prepares food. I have never (and will likely never) been to a party like hers. The parties are never the same and there is always an upbeat, welcoming atmosphere. Edee has a gift of connecting people from different backgrounds and making them feel comfortable. Don’t believe me? This is coming from her husband’s ex-wife! The events are always fun and eloquent as they create lovely family memories. Q. 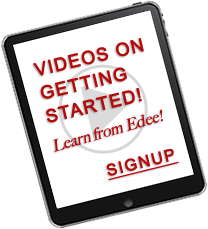 Describe something you learned from Edee regarding food preparation or presentation? Edee taught me how to make homemade pasta. Yes, the one I would lick from a plate if socially acceptable. It was the little things that made a huge difference. She described the different sauces to add to the dish and let me in on her secret of adding garlic to the chicken broth. Mix that in with some sun dried tomatoes and you have a “plate-linking good” pasta dish! Q. What makes Viva Gourmet (and/or Edee) stand out from the competition? Edee doesn’t just talk the talk – she walks the walk. She investigates all the foods she prepares for guests. She even traveled to Italy once just to go hunting for the perfect truffles. She knows her products and she stands behind them. Edee would never tell you to cook something she wouldn’t cook herself. Edee is an incredibly humble and happy soul.